My 2006 Honda Accord has helped me get around everywhere. The seats are covered in brushed nylon-like fabric that doesn't freeze in the winter, nor sizzle/crack in the summer heat. My favorite trait about my car is the acceleration. When I need to speed up, it sounds like a sports racing car, but not at an annoying volume. I appreciate the minimal time it takes to get to the speed I desire. The brakes on my car are quite sensitive, but once I got used to them, it was and still seems hard to have anything different. The only complaint I have with the car is the aesthetic of the exterior. It's a simple four door sedan with no notable features on the outside. I wish there were more defining characteristics of the vehicle, but nothing on the exterior stands out to me. I love the sunroof my Honda Accord has and the spacious back seat area. 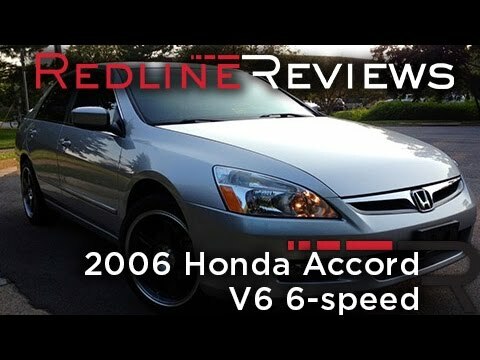 My Honda Accord has been through a lot with me, about 8 years of driving. I find that it is been extremely reliable. Though I have had a few maintenance problems here and there. Within these 8 years I had to change the brake pads, change my airbags (company covered), replace my head/tail lights, and most recently fix my windshield wipers. With all that being said, I have about 120 thousand miles on my Honda and it drives like new. This Honda Accord has a sunroof, fabric seating, and a large truck area that holds a spare tire. There is no Bluetooth or auxiliary cord plug in for this year, but that can be remediated by using an adapter in the cigarette lighter plug. If you are looking for comfort and reliability the Honda Accord has you covered! So far the only "problems" I have had are normal wear and tear. The starter, water pump, battery, tires, alternator, and power steering pump have all had to be replaced, but that is to be expected with a vehicle over 10 years old with over 200,000 miles on it. I do have a problem with the radio as it went out so I had an aftermarket one installed, and now I have electrical parasitic drain, though I suspect that was from the installer. The lights in the front on the roof (near the sunglass holder) have also quit working, I believe that has to do with the radio problem somehow. Overall a good car and would recommend. Great gas mileage too.